How much do you charge for Diagnostics? We get asked how much we charge for diagnostics, at least once a day. The answer? There is no set price, it is really dependant on how much time it takes to diagnose the issue. We have a price range of $50.00 to $150.00. The customer agrees to this, and if for whatever reason it is going to take longer to track the issue down, we call you and get authorization for more time. It really depends on what the issue is. 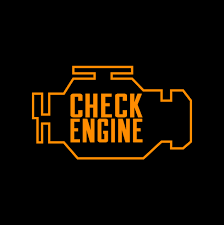 If the check engine light is on We will scan it to see what codes are present, and then go from there. It’s kind of like getting your blood drawn, then analyzed, and then having the Doctor figure out what the cause of the issue it. This can be as simple as you need more vitamins and drink more fluids, to you have a major issue and need surgery. It takes time to figure these things out, and that is the time we charge for…simple less of a charge, more difficult and time consuming, a higher charge. We keep track of our time, and only charge you for what we needed to correctly diagnose the issue. Should I get my car looked at before the cold weather hits? How come my headlights are so dim?